Morning all! Our brand new cut to size metal website is now fully up and running, and we’re thrilled with the initial interest we have had – particularly in our aluminium products. Aluminium is the most widely used non-ferrous metal available, and almost every industry puts it to good use in the manufacturing, transportation or storage of an enormous array of products. Thanks to the fact that it contains no iron it is lightweight and hugely corrosion resistant with a consistent surface finish, and it retains a remarkable tensile strength. Aluminium is also a very ductile material and is suitable for drilling, bending, welding and general purpose fabrication. We have a range of aluminium lengths available cut to size to suit any domestic or commercial use. 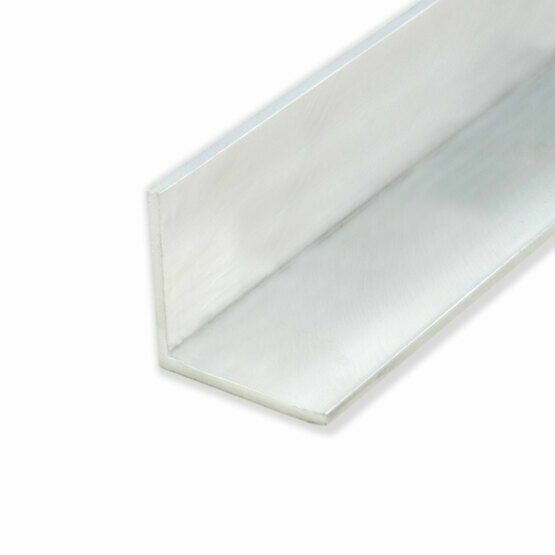 Our high strength aluminium angle is a terrific edging strip to support other materials, and it can commonly be found as a hard wearing addition to stairs in public buildings. T-section is another high performance edging material that can also be used as a strong and versatile joining strip, it is often found in the construction of lightweight floating ceilings in office spaces. Aluminium box section, tube and flat bar are all lightweight and versatile materials perfectly suited to the construction of frames and semi-permanent structures. All of them can be cut and welded together as required, and we supply them cut to the exact length you require to reduce wastage. Use our free online calculator to receive a free quote for your order, all of our product pages display a no-obligation quote instantly so you can work out the exact cost of your project. For more information on our range of aluminium lengths, our mild steel products and our range of welding equipment and consumables please visit our main website. We are really pleased to have had so much interest in our mild steel and aluminium products, and plenty of enquiries for our tools and welding consumables too. Among our many cut to size mild steel products available on our website you will find galvanised mild steel tube, which is a popular steel tube for many high strength applications in demanding environments.